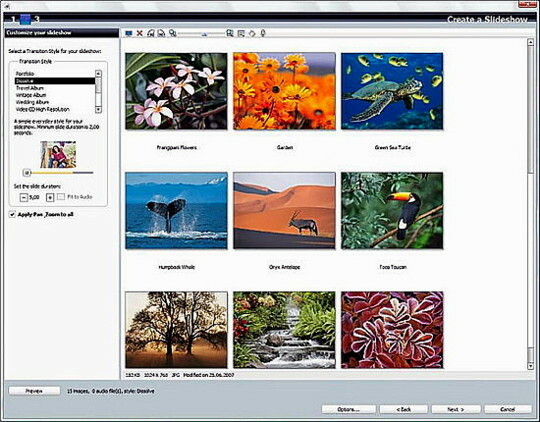 MyDVD 10 Premier Create slideshows featuring still images, video and music. 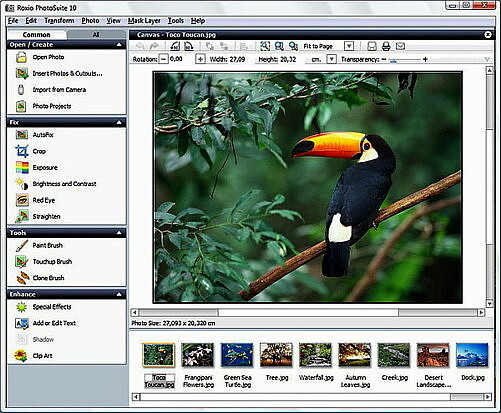 MyDVD 10 Premier includes a couple of new features called "Mobile Phone Doctor" and "Mobile PhotoFit" which automatically adjust, improve and resize photos taken with your camera phones. This is a great feature and one that makes my editing quicker. My DVD 10 Premier even includes Roxio's full PhotoSuite editing package for all of those photo editing needs , such as removing red-eye, rotating and cropping. My DVD 10 Premier has complete set of tools for creating and converting your home movies and slideshows for use on the web, wireless devices, portable media devices (PSP, iPod), mobile phones, and DVD. Whether you are working in Standard or High Definition, My DVD 10 Premier allows you to be a Steven Spielberg and create Hollywood-style DVDs from your home movies and slideshows. 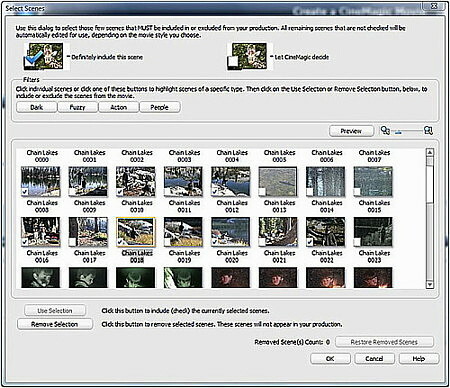 The advanced editing tools I use to repair damaged photos or add special effects. My DVD 10 Premier includes all the essentials you need to prepare your DVD project for replication. My DVD 10 Premier makes a keen amateur photographer into a pro, and your holiday slideshows need never be boring and dull affairs again. 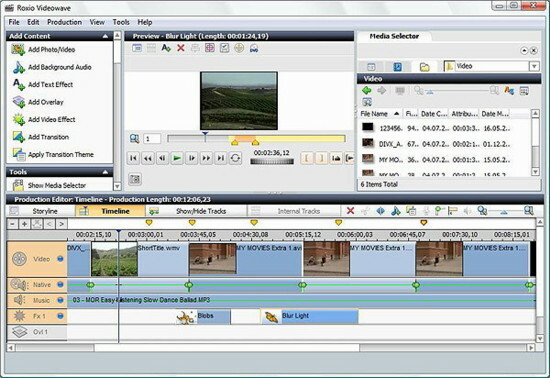 The latest edition of MyDVD features a 32-track editing timeline, direct You Tube upload, and Smart Sound, which automatically syncs music and creates a finished project from photo and video based on the duration you specify, much like CyberLink PowerDirector’s Magic Movie Wizard and Magix Movie Edit Pro 14 Plus’s MovieShow Maker. You'll be presented with a full timeline video editing system where you can also add background audio and photos to your movie. My DVD 10 is a comprehensive video editing and DVD creation suite for the growing number of consumers who want to edit home movies and create slideshows and video compilations to view on wide screen TVs or to share online. Roxio MyDVD 10 Premier this multimedia suite offers lots of options but could do with a bit more improvements in the way it executes them. In saying that Roxio My DVD 10 Premier is designed to make it easy to quickly turn photos and home movies into polished video or DVD productions. Roxio launched My DVD 10 Premier, as an affordable entry-level video editing and DVD creation suite for PC users with professional-level transitions and animated menus. Roxio, is known for many years as the go-to software for CD and DVD burning, and now expands on its capabilities with MyDVD 10 Premier. The price for MyDVD is $69.99 USD downloaded. The flexible menu editing options in MyDVD 10 Premier provide you with control over the entire look and feel of your DVD production. Get simplified access to all the tools that are the mainstay of professional editors. VideoWave timeline supports up to 32 overlay, audio and text effect tracks – giving you the freedom and flexibility to make very sophisticated productions. Create slideshows featuring still images, video and music -- complete with pan and zoom effects and custom transition--then burn them to a DVD, to share with friends & family. It's easy to create stunning movies with CineMagic®. Just select clips and stills. Add a music track. Personalize the theme with an eye-catching built-in style. Enjoy! MyDVD 10 Premier includes all the essentials you need to prepare your DVD project for replication. You’ll find built-in support for making copies of your finished DVD movie discs. Includes dozens of menu styles to choose from, including all new professionally designed styles with matching chapter/scene menus. Or, use your own video or photos as menu backgrounds. MyDVD 10 Premier provides you with a complete set of tools for creating and converting your home movies and slideshows for use on the web, wireless devices, portable media devices (PSP, iPod), mobile phones, and DVD.